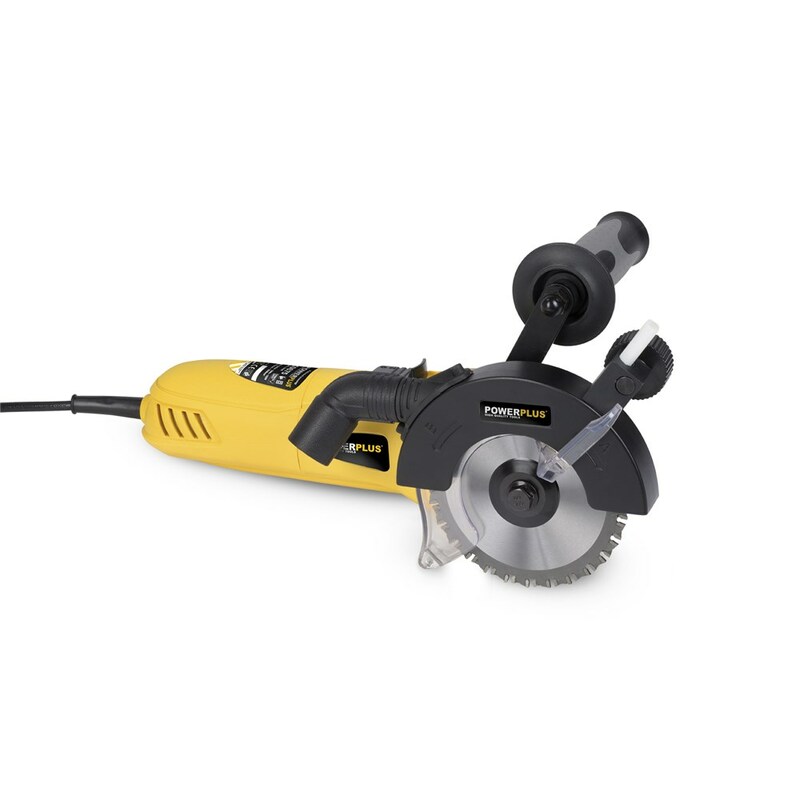 POWERPLUS DUAL SAW 1050W 115mm POWX0675: Dual Saws provide a new and patented method of clean and easy cutting. 2 opposing spinning TCT cutting blades give clean cutting through wood, steel, aluminium, copper & plastics. Special features include virtually no kick back on start up, cold and almost spark & burr free cutting through metals, clean cutting through wood and plastics, virtually spark free cutting. supplied in a carry case with side handle, dust extraction spout, set of TCT blades and 10 wax blade lubrication system. powered by a 1050 watt 230v motor.